If you would like to review us as well just click here. "I highly recommend this company. They are very reliable, respectful, and friendly. They have very nice vehicles that are always clean and comfortable. I also love that they are always on time!! I have used this company for personal and business and recommend them for both. Thank you guys for excellent service as always!" "I used American Luxury Transportation to get to a business conference and I highly recommend their service. They are not only affordable but a reliable transportation service. I will use their service from now on when traveling in any area that they service!!" "American Luxury Transportation is an amazing transportation service. They provided me with excellent service and were very reliable and entertaining! Definitely the people you want to choose!" "Hello Brian, I wanted to give high marks for your service and your drivers. Derrick was not only a great driver but a brilliant conversationalist as well. We will definitely use your service again on our next trip to Sanford. Thanks again." "We arrived at SFB for our Disney vacation and Derek our driver was waiting for us at the baggage claim. He picked us up at our Disney resort hotel when we were leaving on time. Overall it was a very good experience for our transportation. I would recommend ALT to anyone traveling to the Orlando area. thanks guys.."
"I have used Brian and his drivers for 5 years now, I am a Snowbird and they make it very easy on my old bones, I wish my kids were this good, Brian does talk a lot and so does Derick and Ron but it makes the 2 hour trip go by very fast, the door to door service is what I need and I like having a private ride, thanks guys"
"I have used Brian services coming up on the 3rd time for my Mother. She flys out here to Ca to visit with me. I love Brian service and it puts me at ease that I know my mother is with a safe reliable service with Brian. They pick my mother up at her house in Davenport and take her to the airport. Then pick her up at the airport and bring her back to her house in Davenport. My Mother loves the service. She says they are polite, professional and yet very friendly. I recommend your service to any one looking for a safe reliable, professional service. Thank You Brian." "I was a little hesitant to book transportation through a company I had never dealt with. They were remarkable. On time, very courteous, friendly. I have absolutely nothing but praise for this company." "I just want to say that this company is first class I cannot praise them enough. Our driver from port canaverel to the Airport was Ricardo and he was a pure gentleman. Well done Ricardo. I will be recommending you to anyone I know that is going to Orlando. Thank you"
"I live in California I hired the s servicee to pick up my mother in Flordia at her house and take her to Orlando Airport to come to California for a visit. Then pick her up at Orlando Airport bring her back to her house. My Mother loved this service she said they were very kind to her and very proffessional. My mother is coming back out to California for a visit in Nov. I am using this service again for my mother. I highly recommend this services. There prices are resanable. The staff is nice. And professional." "Went to visit a friend in Orlando. American Luxury Transportation was highly recommended to me. Called Brian and got immediate service. Brian was on time and very pleasant. He was able to tell me about all the restaurants nearby and answered all my questions. Brian made me feel like I was the only one he was concerned about. He is a perfect gentle businessman. I will book with American Luxury again and look forward to it. You can really place your trust in this company." "I just wanted to email my thanks for what can only be described as a PERFECT service. We recently used your company to provide airport transfers and it was totally stress free. The car was great, your driver was excellent, the communications was superb and overall it was very good value for money. I would have no hesitation in recommending your company for transport in Florida and I will be emailing my travel agent and the Orlando reps to recommend your company for other travelers who want transport in Florida. Thanks again and best wishes...... I am sure we will be using your company again in the future." "This was the first time we have ever used a car service. It was a fantastic experience. The drivers were very friendly and professional. My husband hates being a passenger and even he was comfortable and confident with their driving skills. We will definitely recommend to family and friends. " "I had to have part of my foot amputated, long story, I reserved a TownCar from American Luxury Transportation to pick me up at the hospital and drive me home, I was in great pain and heavily medicated after the surgery, Brian was on time, very considerate of my pain and situation and he acted like he had done this a 1000 times, I am so pleased with his service that when my foot starts to heal I am going to have American Luxury Transportation drive me to my 3x therapy, you have a fan." "Highly recommend this company for transfers. Took my mum and I from Orlando International airport to Clearwater and back. Very efficient and reasonable prices. Juliane and Derek were friendly and professional drivers. Would definitely use again if visiting Florida." "This was the first time I used a car service and could not be more pleased. Brian and his wife are wonderful! They were early both days and were professional, helpful and friendly. I will definitely use ALT again and would highly reccomend them !!!" "My daughter and I were traveling to Port Canaveral and did not want to take the cruise transportation as we wanted to arrive early at the port. After research I then booked with American Luxury and I have to say I was EXTREMELY glad we did. Both drivers were very prompt and friendly. It was a very enjoyable trip and I would not hesitate to book with them again. Thank you for great service." "Super service exactly what was promised. Pickup and delivery both times! Would certainly not only recommend but also use again myself. Brian our driver was lovely." "American Luxury Transportation was prompt, professional and reasonably priced. Brian was courteous and enjoyable to talk with on our trips to and from Disney. Brian's advice improved our trip advising that we get off the train at Orlando Station rather than Kissimmee it gave us extra time in the Parks on either end and the trip was shorter. Thanks again." "I used American Luxury Transportation and I loved it." "I just used this company to travel from the Orlando Airport to Cape Canaveral and back to the airport. In fact I also arranged for them to pick me up from my cruise and take me to Kennedy Space Center before my flight. Our driver was always on time and extremely friendly. He was an interesting guy who knew a lot about Florida. He had excellent communication and would contact me via text updating me with his whereabouts and what color vehicle to look for. Moreover, we left all of our valuables in their possession when we spent the day at Kennedy Space Center (i.e. three laptops, clothes etc.) and everything was the way we left it when we returned. I would highly recommend this company. They are reliable and safe. I felt as safe as a family member picking me up. They also provided a free booster seat for my son. Two thumbs way up for American Luxury Transportation!" "I often travel to Orlando for business and find American Luxury Transportation drivers on time and courteous." "American Luxury Transportation AWESOME ,PROFESSIONAL and GREAT SERVICE!!!!!! I highly Recommend." "Excellent service. Safe and professional driver. Free grocery stop!!! I will book again and recommended." "Brian I want to thank you for your excellent service that you provided to the Rahming Family when they had to go to the Tampa Shriners Hospital. I am forwarding you this letter from the group you helped us with. You may want to use it as a reference in the future. I will pass your name on to others in need of your service. Brian THANK YOU VERY MUCH!" "Thank you so much for your great service!!! Brian you were great to deal with making our reservations. Victor was a wonderful and professional driver. We could not have asked for any better service. Thank you very much!" "Brian, Many thanks for the superior service for our party vacation. Could not fault any of you're guys. Will save you're details for future use and recommend to friends and work friends." "Brian, I really enjoyed my ride to the airport yesterday my driver Vic was very polite and friendly. We enjoyed some great conversation. I will recommend your company to everyone I know that may be heading to the Orlando area. Thank you again!" "Great service, professional and super-smooth. I used their service for a cruise, where we needed a ride from Orlando to Port Canaveral. I called and paid over the phone, they followed up with an e-mail confirmation. They watched for my flight, and when I got to baggage claim, Vic was waiting holding a sign with my name on it. The Escalade was waiting a very short walk away in the VIP tunnel. The vehicle was newer and had a nice ride, 6 of us fit nicely. He knew exactly where to go. This morning, 1 week later, when the ship returned he called my cell a few minutes early to confirm where I was waiting at the cruise ship port and showed up promptly at 9 AM as had been arranged for the return trip to the airport. Then he dropped us right outside the front entrance, a very short walk to our airline's departure counter. Eliminated the not knowing what to do, hauling bags longer distances, waiting to load and unload shuttle buses and very affordable. Try these guys!" "I am a single woman from another country and I find myself having to travel to South Florida almost weekly at very early hours and by myself. Brian, Derick, Vick and Arnold have all treated me with respect, stopped at Starbucks and been very professional at all times on the 3.5 hour trip. The price is good, the service is great and the cars are very comfortable...you should try." "I travel 3 weeks a month out of Orlando International Airport and have been using American Luxury Transportation for over 2 years now. Never once have I been let down. Their drivers always pick me up at home on time and have never failed to be at baggage claim waiting for me when I arrive. Traveling alot, I run into delays all the time, never been a problem with ALT. The cars are very clean and smooth. I think the best part about ALT is that only a few people know my travel schedule and that gives me peace of mind that my family is safe while I am away. Brian is a great guy and always very courteous and friendly. Reserve them for your next trip, you will not be disappointed!" "This was the easiest and best experience I could have asked for in my family's trip! Our driver was on time, took great care of my children and me, ensured our comfort and even made sure we were scheduled to be picked up on our return. Next time we have a trip, I am making sure to call ALT! They are the best service in town!" "The service was excellent! The plane was early and our driver was there with a sign welcoming us. He took us to a little grocery store along the way for us to pick up some snacks for the hotel. He was very courteous and gave us some great tips for restaurants in our area. When he picked us up on the way to the airport, he was on time and asked about our trip. We had a great time talking about all the places we went and he made my children laugh! I would use this service again the next time I come into town!!" "American Luxury Transportation has nice clean cars and SUV's along with a positive staff and reasonable price structure. The concept of using a car service might seem foreign to people who do not live in a major city but in general the experience is nicer and often more affordable than a taxi or shared shuttle ride. Please consider this service, time and time again they have never failed to over promise and over deliver." "On a recent trip to Orlando from NYC, I had the pleasure of using American Luxury Transportation for my commute from the airport to Saratoga Springs. They were the only one that answered that provided the following: a rear-facing infant seat, direct communication with our assigned driver and owner's cell phone, a complimentary grocery stop for bottles and snacks, and my kid's were treated to a Disney movie along the way. Our driver was on time, courteous, and put my husband and me at ease about our holiday transportation choice. I would recommend ALT to all my friends and will use them again on our next trip to Orlando." "I went on a Disney cruise last month and did not want to use the big Disney bus so we opted for a magical alternative, they under promised and over delivered, our family of seven could not be happier with the price, the service or the quality of the SUV. Brian was extremely helpful with suggestions and knew just the right liquor store to stop at once we arrived at the port. My advice to everyone is to use Brian and his drivers for a value added vacation in sunny Florida." "I have used ALT 2 years in a row and will continue as long as my kids want to go to Disney or Universal. Gus showed up with 2 car seats and a booster, no company I called was willing to acomodate my three little ones, they don't even charge for the car seats or a grocery stop, all I can say is WOW!!" "I used this company for myself on a business trip and could not be happier with my driver, his vehicle, his service and ultimately I will continue to use ALT as long as I am going to Orlando." 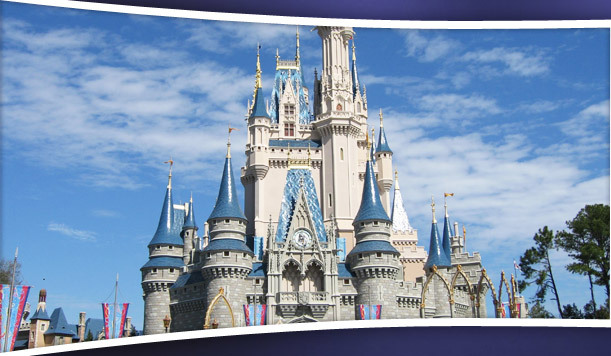 "Flying non stop into the Sanford airport was a pure joy and our enjoyment continued with our driver Brian who made our hour drive to Disney easy and stress free. The whole experience went off without incident and Brian was 10 minutes early for our 4:30am return trip to Sanford. I highly recommend letting professionals do your driving in Orlando." "We go to Orlando yearly and our plans with our Mears driver fell through, luckily we found American Luxury Transportation on line. We will never use another company in Orlando. This company would make a killing if they brought their level of service to the Chicagoland area." "American Luxury Transportation delivered as promised in every way. We are so pleased with the service and our driver, Brian. He was helpful and on time with an awesome Escalade that more than handled our family of 6 and my daughters over packing. We will tell everyone in our church and social circles that they need to leave their Orlando transportation needs to ALT."